According to the latest reports from the Portuguese media outlet ABola, Rangers are interested in a summer move for Croatian midfielder Josip Vukovic. The midfielder currently plies his trade for Portuguese outfit Maritimo who are currently 13th in the Portuguese top division. The 26-year-old is a former u-19 Croatian international and is a defensive midfielder by trade. 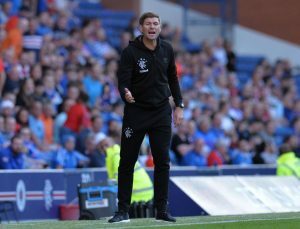 Ever since Steven Gerrard took over at the club, the Bears have made wholesale changes to their squad, including signing 15 players in the summer. Their recruitment process continued in January as well as they secured some top acquisitions in the form of Glen Kamara, Jermain Defoe and Steven Davis. They are already planning for the summer and Vukovic seems firmly on their radar. 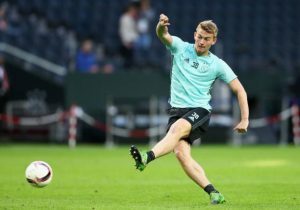 and Ross However, Rangers are not in desperate need of a defensive-minded midfielder especially after signing the likes of Glen Kamara and Steven Davis in January. It’s true that both of them are not out and out defensive midfielders, but both players can do a job in that role. Apart from that, the gaffer can also call upon the services of Ryan Jack and Ross McCrorire. The Scottish duo has established themselves as crucial members of the first team. Maybe Gerrard is eyeing to bring one more midfielder in the summer as he is going to lose the services of Lassana Coulibaly who is currently on a season-long loan from Angers. Vukovic’s prime strength is his ability to read the game and make crucial interceptions. Along with that, he can form a good base of attack and is pretty neat with his passing as well. The club would be better off signing a more creative midfielder or an out and out no. 10 in the summer. However, Vukovic is a decent talent, and if Rangers can negotiate a bargain price for him then signing him might make sense. The fact remains that the Glaswegian club has enough cover in midfield, and so we don’t see them going all out for Vukovic in the summer even though he can be a quality addition. 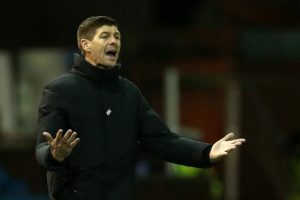 Rangers Linked Midfielder Also Wanted By Chelsea: What Should Be Gerrard’s Play? 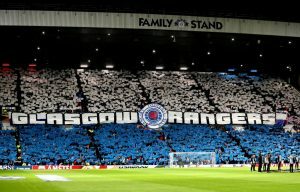 Rangers To Battle With Aston Villa & Lazio For This Croatian Midfielder: Can Gerrard Lure Him To Ibrox? Rangers Linked Midfielder Available At £3.4m: Should Gerrard Make A Move For Him?